When we ask, "what are angels?" ... Firstly they are messengers and is traditionally believed to be supernatural beings who act as mediators between man and God, Source, the "All That Is" sent here to help you and me live out our soul's mission and they reside in the Spirit world. 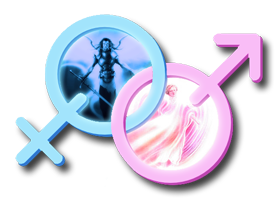 Although they can take on a physical form if the intervention requires it, they are beings of Spirit, have no flesh or bones and are androgynous which means that they have both male and female characteristics. It is also taught that angels have authority over the natural world and that they are organized into classes or hierarchies. Secondly, what are angels if not our friends since that is what they want to be. They are your companions on the journey of life on this planet, ancient fellow travelers, whose love and light and wisdom can enrich your life immeasurably. They want to share with you and help you grow toward the unique spiritual destiny that is yours. Their guidance and support is wonderful, something to rejoice in and to give thanks for. What are angels if not inspiring as we know that throughout history angels have inspired poets, artists, writers, prophets and religious leaders as well as everyday men and women. What are angels associated with... higher nature, joy, beauty, fulfillment, laughter and peace. They are here to heal you, to redeem lost faith, broken trust and innocence. They help you lay down the burden of fear, guilt, uncertainty and pain. They help replace feelings of unworthiness with joy as they help you gently enter the world of love. Angels are different from guides in that they have not lived an Earth time existence; they are of the stars and heavens where guides are of the Earth. Angelic beings are divine beings who have not experienced the Earth plane in a human body. They do not have karma or evolutionary issues to work out from having lived on Earth. 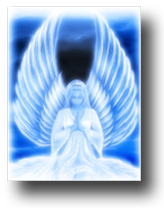 Angels are celestial beings of a higher vibrational level than guides. The word Angel is derived from the ancient Greek word "angelos" meaning "messenger". They are beings of pure consciousness, unlimited by the constrictions of time and space, which have never been incarnated in physical form. Angels are highly evolved beings who have taken on the commitment to be the messengers, guardians and teachers between Source and incarnated beings. They are eternally bound to the perpetual blissful energy radiating from Source. Each angel is a focus of Divine love, able to channel this love without distortion. Angels act as a bridge between Heaven and Earth, serving as a channel between Source and the physical material world. Take a look at the scene of a horrific accident where someone walks away with barely a scratch. How about that near miss you had while driving your car or the time when you looked down to grab something off your seat and you look up just in the knick of time to avoid the car that has stopped in front of you? These are not just mere coincidences... these are acts of the Angels. They also show us things in the not so subtle ways... maybe you thought about a relative that has passed on and realized that today would have been their birthday or you were walking along the warm, sandy beach trying to solve a problem in your life when the answer just all of a sudden comes to you. Again, these are our Angels at work helping each one of us on any given day.